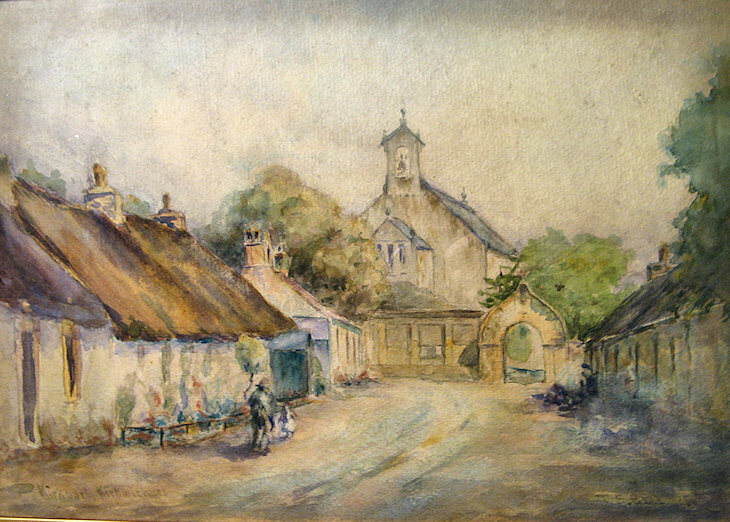 I have a very lovely painting of the Kirkmichael church and gate done (I think) around 1906 by an artist that could be JS (but might be TS Bell). It's all very faint. I'd love to know more about the artist or the history of this very pretty artwork. My mother says it originally was in a farmhouse at Cargill in Perth, although it was framed in Glasgow. 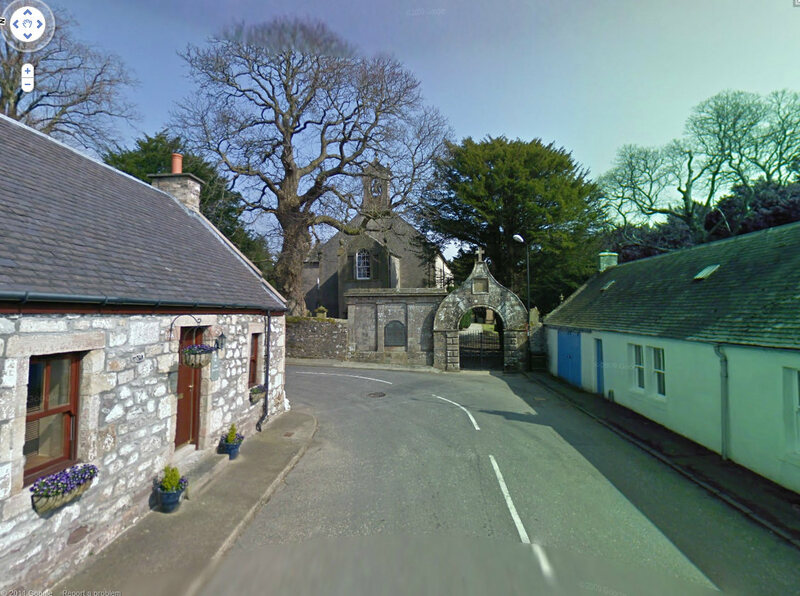 We're pretty sure it started out in my grandparents' house in Cargill, Perthshire (their surname is Livingston, still a few rels farming in the area). When they died, we had already moved to Australia and my mother received a shipment of bits and pieces from the house. As far as she can recall, this painting was in that shipment and was passed on to me. I'm sure it was a local artist and thought maybe somebody there might have other works of his/hers or know about him/her.